Marriage counseling can be the best thing you can do for your relationship, whether you’re having marriage problems or not. Either way, the skills learned in marriage counseling can help you find happiness and satisfaction with your spouse. If you are having significant problems, and you want marriage counseling to work, you need to be willing to put everything into it. You cannot shut down and refuse to participate because you “already made your decision.” Give your marriage a chance. Give yourself and your spouse a chance to be happy. I have helped many couples, and I have found that the majority of them benefit from the therapy and gain happier marriages. Unfortunately, many couples wait years after issues begin to fester before looking for professional help. The longer you wait to tackle your marital problems, the longer the marriage counseling process (and healing process) will be. All too often, a couple comes to me to help their marriage, but they are already discussing divorce. Don’t wait until it’s almost too late. So when should you go to marriage counseling? As soon as there are festering, consistent issues, you should seek professional help. How do you know you need it? Several factors come into play. The age you were married, the financial situation, and faith can affect how your relationship works. Professional help may be needed when the tension gets to the point where nothing seems to be getting solved, or if you frequently fight over non-issues. Also, change can cause a lot of stress in a relationship. Going to school, new job, or a move can strain the relationship, especially if there were already other issues festering. 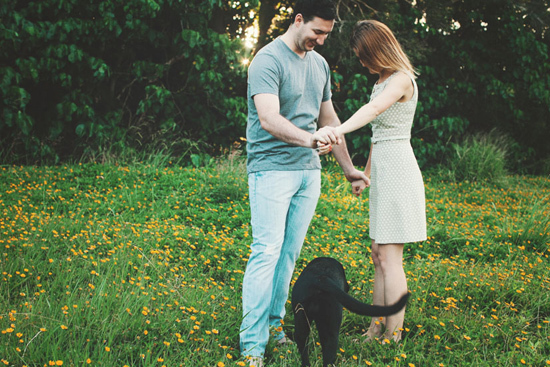 These factors do not mean that your marriage has to end — it simply means you have room to grow. Marriage counseling can teach you the communication skills you need to create a blissful marriage. Learning these skills before marriage and continuing to develop these skills in marriage is also extremely beneficial. Marriage counseling will teach you how to communicate more effectively. You will be able to express your feelings in a safe environment, and there you will learn how to objectively listen to your spouse’s feelings without becoming offended, and you will learn how to speak with your spouse about sensitive issues without causing hurt. To put it simply, you will learn how to withhold judgment. If you use loving objectivity, you will be able to solve issues more effectively and without resentment. Not only this, but you will be able to get to know you spouse more deeply. Consider marriage counseling as a schoolroom — but you are studying each other works. The counselor is the guiding referee. However, in order to receive these benefits, you must be completely forgiving and loving towards your spouse. Once you have resolved issues, or discussed them, you must leave it behind. Look forward to a happier future with your spouse lovingly supporting you. Before, during, or after marriage counseling there are a few things you can do on your own to help your spouse feel loved and supported. Little messages of love, such as a note or a favorite food, could build the positivity in your marriage. Each time you see your spouse after an absence (even if it’s work), be excited to see them. Greet them enthusiastically with a big hug and a kiss or some other method. The important thing is making your spouse feel appreciated and missed. Get into the habit of saying “thank you.” This will help you focus on what your spouse is doing right, and helps them know that you notice their efforts. Marriage counseling can benefit any couple—blissful newlyweds to despondent couples. Communication skills and unconditional love is essential to every marriage. Marriage counseling will help you develop the skills that in turn will help you find a deeper, more blissful love for one another. It may take a few months to a few years before you completely resolve your issues—but a happy marriage and life together is more than worth it.